I love this color combination of light blue and white in the Spring and Summer. It's absolutely one of my very favorites! And, this pretty skirt from Chicwish is the perfect way to wear it! I'm loving the subtle lace detail in this skirt, and of course the cute little bow at the waist! It's very much my style, and I knew that the moment I saw it on the website. I actually photographed this skirt a few ways, and I decided I really liked it with a crop top. 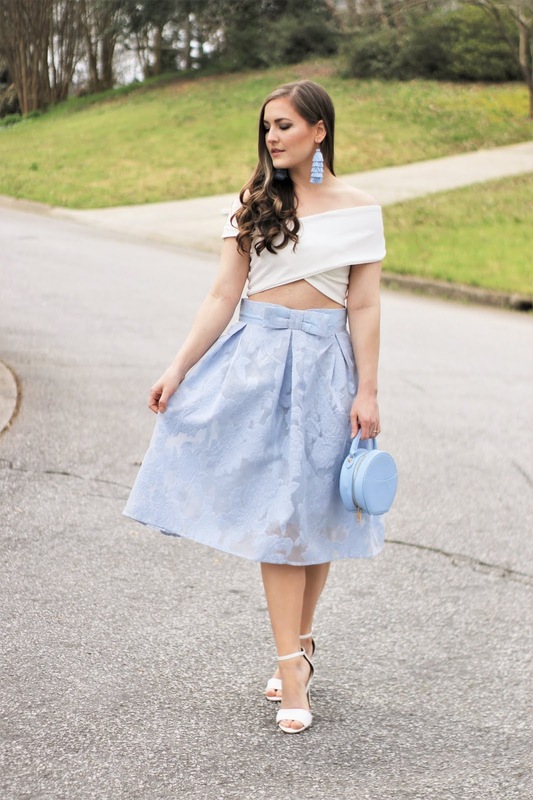 Something about full midi skirts and crop tops... they just pair so well together, and balance out my frame, which can sometimes get a little smothered in too much fabric, with a full skirt. 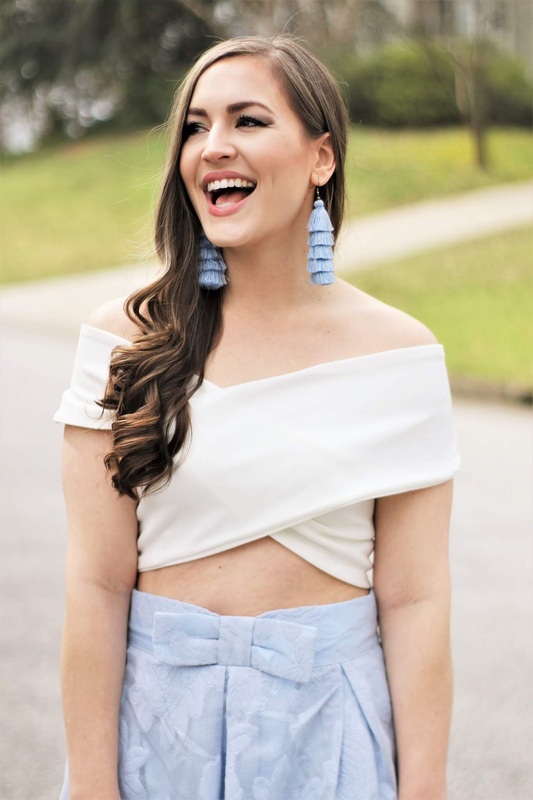 My tip for doing a crop top if you don't want to show your stomach, but you still like the look: find a crop top that is longer, and a skirt that sits higher on the waist, and usually you won't show any skin, but you'll still get this crop top and full skirt look. 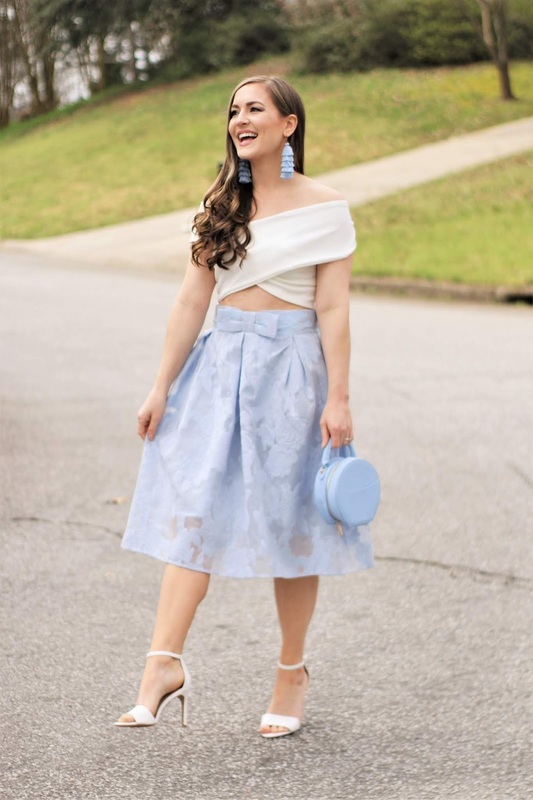 I do that a lot, and it's definitely my favorite way to style a full skirt. How was your weekend? We had a kind of hectic and exhausting weekend, to be honest. I'm needing a break from our break! haha Hopefully this week will go smoothly, and the following week, Lorelai is on Spring Break from school, so that should help to slow things down for a bit. We did get to shoot a lot of new content, over the weekend, which is always so much fun for me! 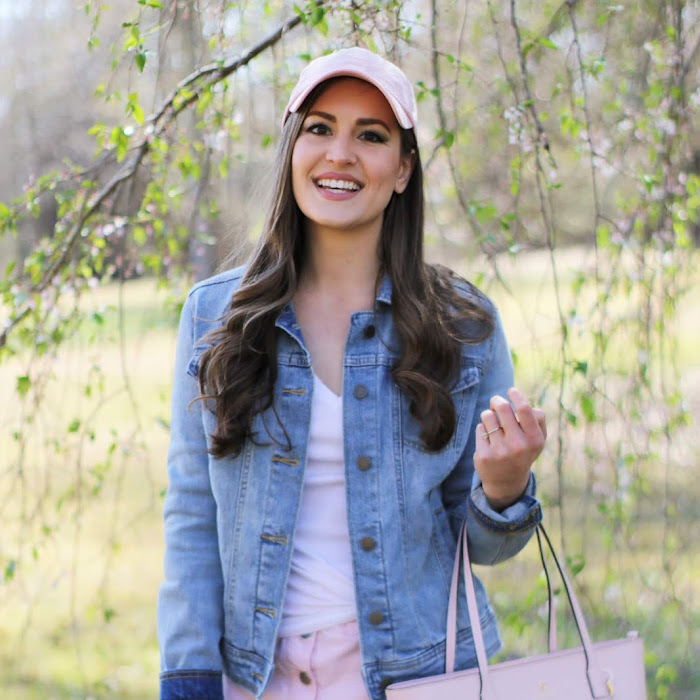 I have so many cute little Spring goodies to share with you... lace and eyelet pieces, pretty pastels, cute little sandals, and fun hats! I hope you just love them! Have a wonderful and productive Monday, and make this week amazing! Thanks for reading! ooo I can't wait to check it out, Jodie! Hope you're having a great Monday! How pretty is this?! Loving the texture of the skirt! Thanks so much, Ashley! I hope you're enjoying your day so far! 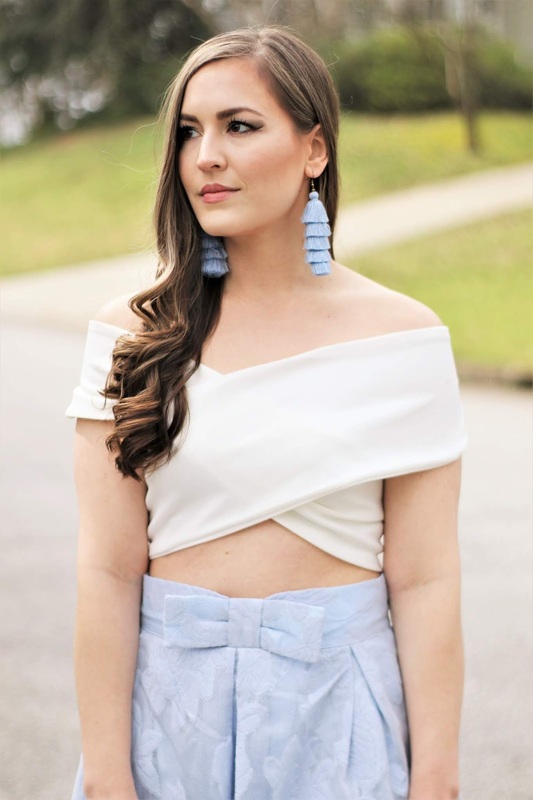 Light blue and white is always a perfect combination for spring and summer. You look so chic, Jessica! Yes!! Isn't it? Thank you so much, Lizzie! I hope you have a lovely week! How pretty is this outfit? 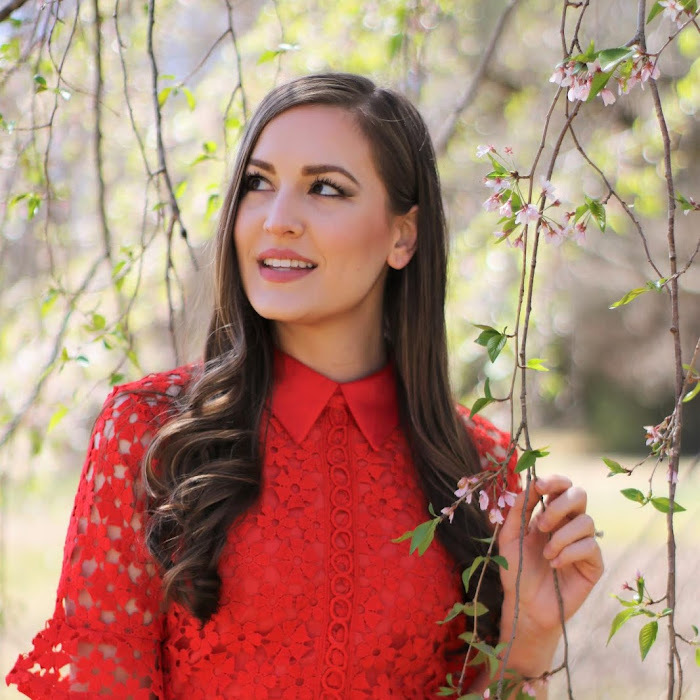 I love it, it's such a great spring look! Thank you, Felicity!! Have a nice Tuesday, girl! Honey, your smile expresses the happiness and joy of dressing up with such a beautiful look. It really does bring me a lot of joy! Thank you, Filipe! Thank you, Mica! I hope you're having a lovely week! This color combination is so elegant. I loved the inspiration! I always love blue and white! Thank you so much, Lizzie, enjoy your evening! I love the light blue and white together! The crop top goes perfectly with that skirt and I love the detail of those earrings. I hope you have a great week Jessica! Thanks, Kara!! You're always so kind and thoughtful! I hope you have a great week, as well! that baby blue skirt!! I love it! Thank you so much, Itzel! So kind of you to say! Have a nice evening! It really is a beautiful color combination! 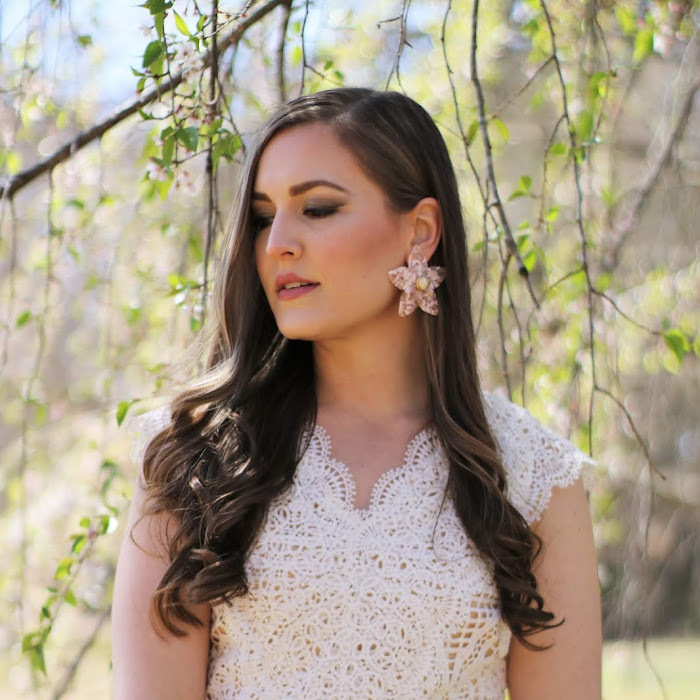 I love how delicate and feminine this look is. Thank you so much, Kathrin! I hope your week's been wonderful! Thank you, Olga! It was a fun little look, for sure! Hope your Wednesday was lovely! Thank you, Melody! Have a wonderful weekend! Sooo chic, elegant, and feminine, so perfect on you dear!